One of the most popular Lowrance handhelds, now with a crystal clear color display - plus 16-channel GPS precision. The iFINDER H2O comes with sporty styling and a sure-grip rubber welt seal, along with dual processors and a high-res color screen! Also available with the Plus package - The iFINDER® H2O C Plus has the same great features of the standard model, with the added plus of exclusive MapCreate™ mapping software, one MMC/SD memory card, and an MMC/SD card reader with USB connector - for making custom, high-detail mapping. For the most detailed maps available for Lowrance GPS, see our LakeMaster Pro Maps and Navionics Maps! 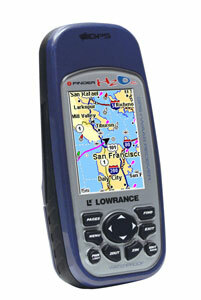 To order the Lowrance iFinder H2O C GPS, add to cart. *Add to cart to see your actual internet special price. Lowrance iFinder H2OC GPS SOLD OUT! Lowrance iFinder H2OC Hotmaps USA Package SOLD OUT!